Hydro jetting uses targeted, high-pressure water to clean and clear out clogs as well as anything built up along the walls of pipes and plumbing such as plant roots. Hydro-jetting is a fast, efficient way to clean clogs. The plumbers at John’s Plumbing & Pumps, Inc offer effective drain cleaning with hydro jetting. Kitchen drains can get bogged down with sludge and grease that snaking simply cannot clean out. A snake might punch a hole through the layers of grime, making a small path for water to drain, but it is not the most effective way to clean out drains and pipes when buildup is the problem. Our skilled plumbers are able to assess a clog and make use of the best tools for the job. If a toy has been flushed, for example, then a snake may very well be able to remove the obstruction and clear out the pipes. However, in the case of built up grease, hydro jetting uses high-pressured water to clean out the grease and any other buildup. This leaves pipes open and free of grime and debris. 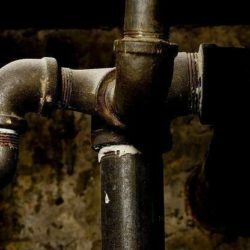 Grimy pipes and drains are sticky and will grab and hold onto debris, worsening the problem. Hydro jetting gets rid of it all. Our plumbing professionals use the latest technology in all our services. Our hydro-jetting uses around 4,000 pounds per square inch. The amount of pressure can be adjusted, depending on the needs of the situation. Hydro jetting is tough on dirt and greasy buildup, but gentle on your plumbing. One benefit of hydro jetting that homeowners appreciate is that the benefits last longer. 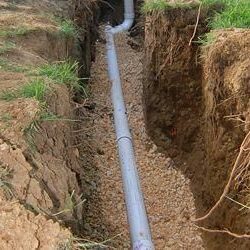 If you have needed to snake your drains and pipes on a regular basis, then you likely have buildup that snaking cannot clear. Using the snake loosens and clears debris caught in the grease, but it is not cleaning the grease, which is the real source of the problem. Hydro jetting cleans out the pipes so they stay clean. Inexperienced plumbers can damage pipes using this technology. We avoid costly damages by evaluating and diagnosing the problem thoroughly before performing any jetting. Call today to schedule a professional plumber to safely clean your drains with hydro jetting.